2 Bdrm 1st flr Flat. Hall. Lounge/Dining rm. Kitch. 2 Bdrms. Bathrm (CT band - D). Parking. 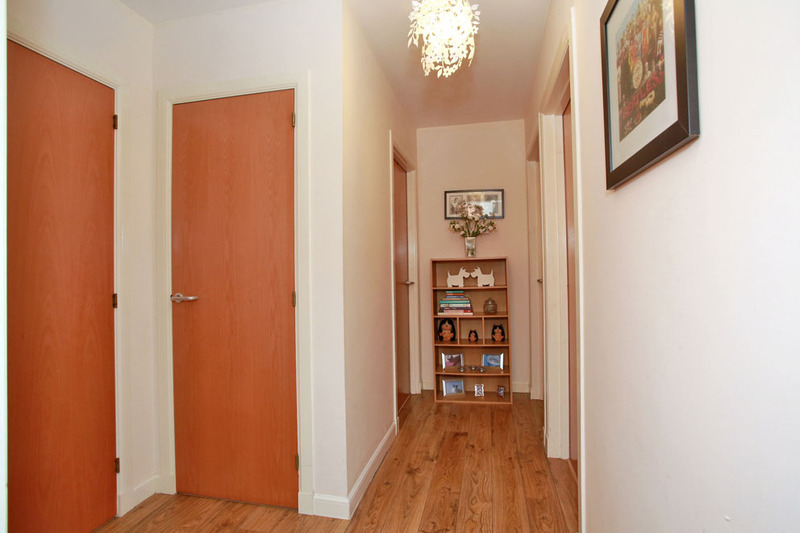 Fixed price £170,000 Entry by arr. Viewing 07557 656869 or contact solicitors. (EPC band - B). 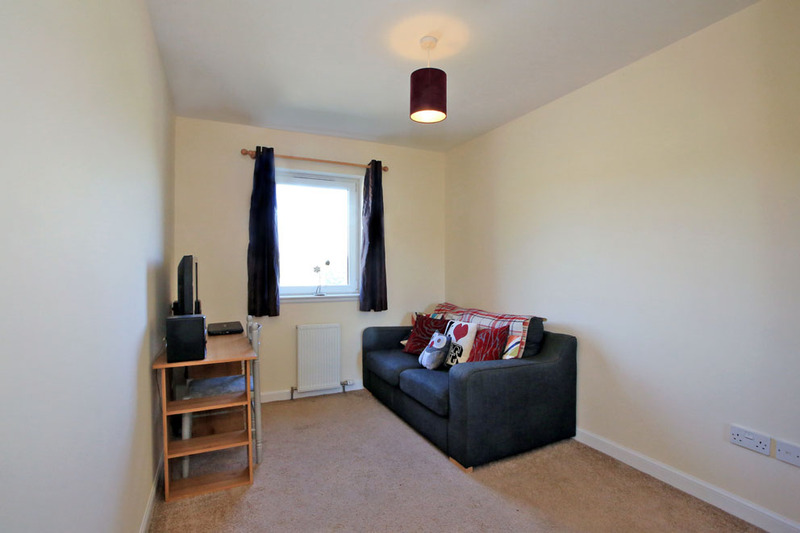 Situated in a modern purpose built development, we have pleasure in offering for sale this two bedroom first floor flat. 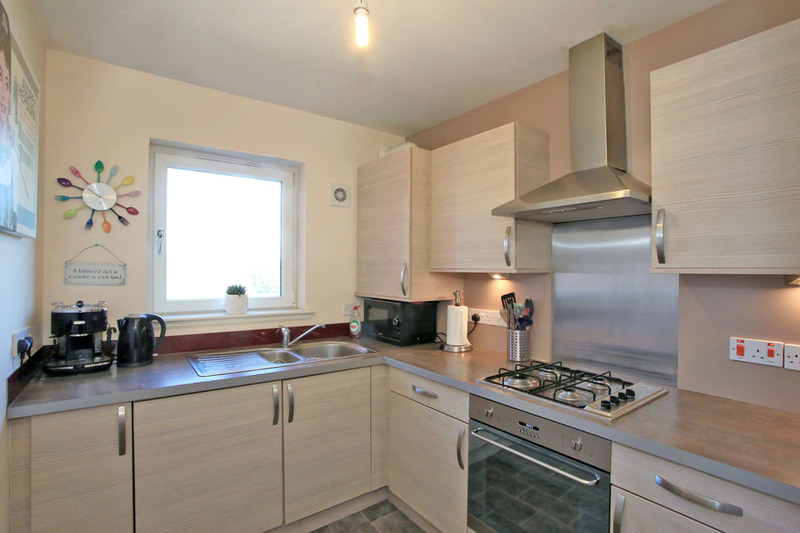 The flat offers bright, well appointed accommodation, with the entry hall completed with laminate wooden flooring giving access to all accommodation and benefiting from a large walk-in cupboard and further shelved cupboard. 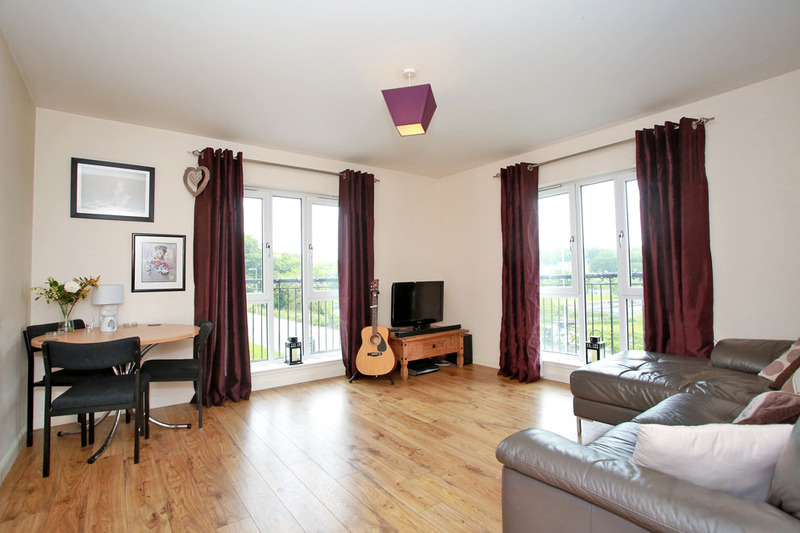 The lounge/dining room is a particularly bright, well appointed room with double aspect windows, one of which has a pleasing view across the River Don, this room again is completed with laminate wooden flooring and neutral decor. The kitchen is completed to a high standard benefiting from an excellent range of modern base and wall units, contrasting work surfaces, one and half bowl sink and drainer with mixer tap, built-in under oven, gas hob, overhead extractor hood completed with stainless steel splashbacking, integrated fridge/freezer and washer/drier. 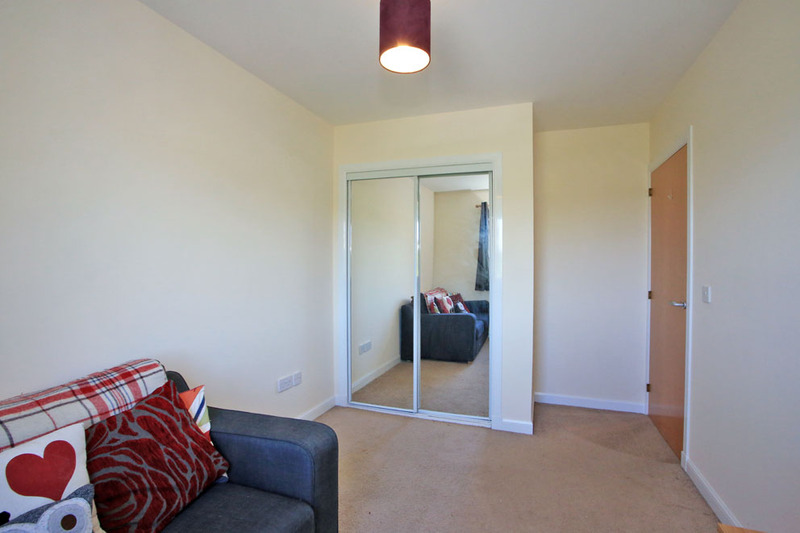 There are two double bedroom to this property, both benefiting from sliding mirror door wardrobes. 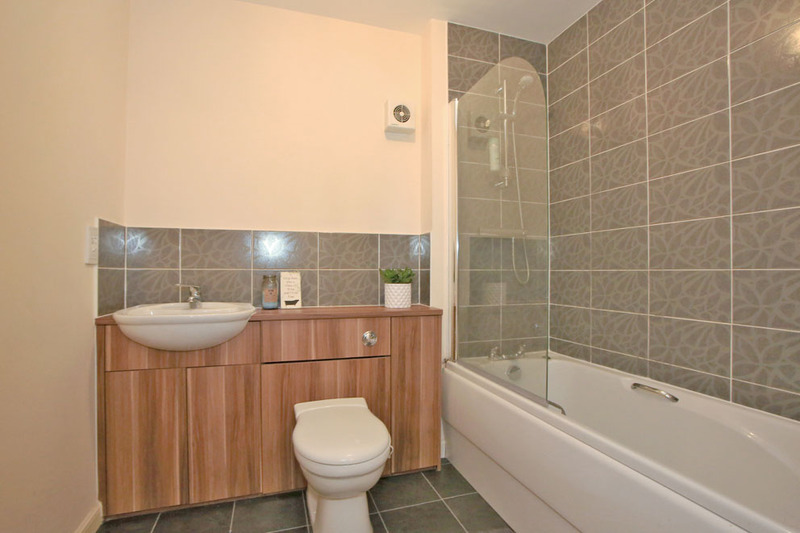 The bathroom is completed with a white suite having tiled areas around the bath, mains shower, wash hand basin and WC set into attractive furniture completed with laminate tiled effect flooring. 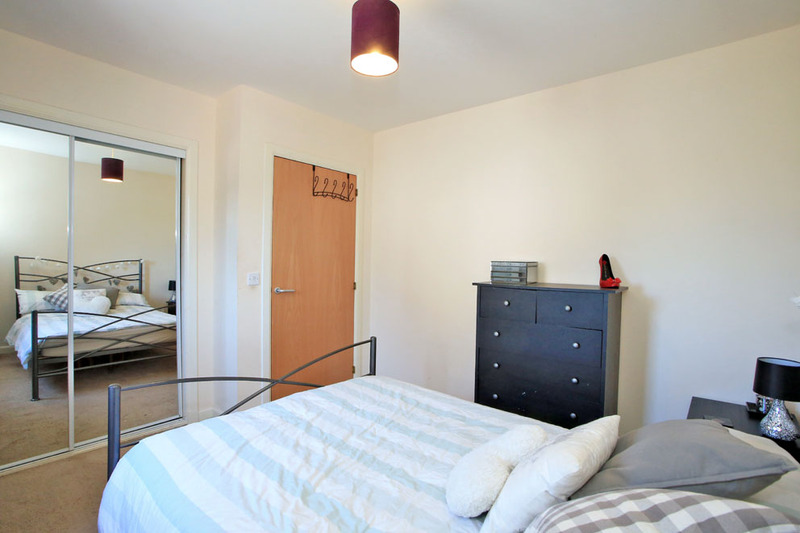 The property benefits from full gas central heating, double glazing and is secured by an entry system. There is a private parking space with excellent visitors' parking, secure bicycle and bin stores and landscaped garden areas. Lounge/Dining Room 14' x 13'9" (4.27m x 4.19m) approx. Kitchen 10'1" x 7'1" (3.07m x 2.16m) approx. Bedroom 13'5" x 8'3" (4.09m x 2.52m) approx. Bedroom 10'8" x 9'11" (3.25m x 3.02m) approx. Bathroom 7'4" x 6'3" (2.24m x 1.91m) approx. Directions Travelling north along North Anderson Drive cross the Haudagain roundabout onto Mugiemoss Road and at the next roundabout take the first exit continuing on Mugiemoss Road. The development is situated on the left hand side with No. 7 located to the left as you enter. 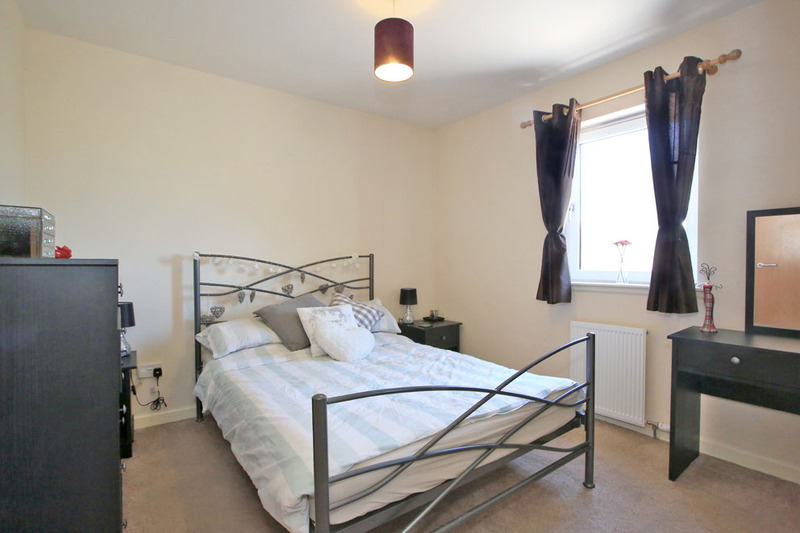 Location Goodhope Park is situated close to Danestone which has a wide range of amenities including a large Tescos superstore. There are further local shops and public transport facilities making easy access to the city centre. 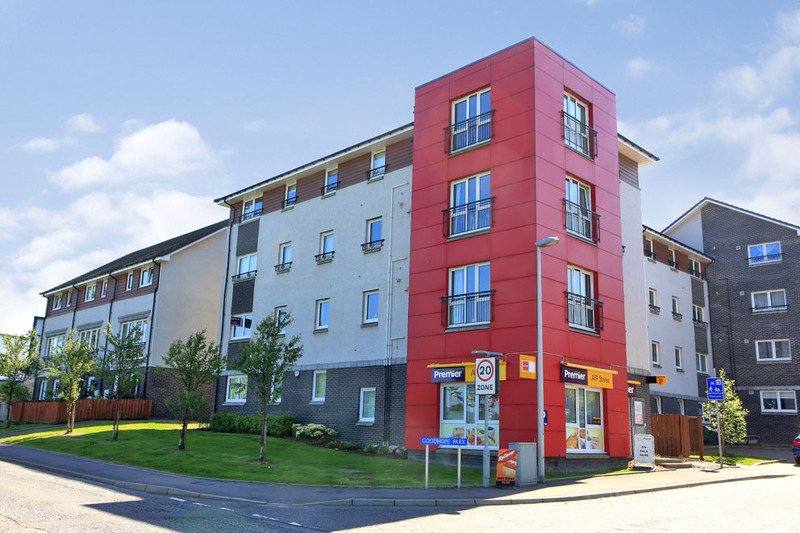 The main Aberdeen ring road is situated close by which allows access across to the south side of Aberdeen and the area is also easily accessible for the office and industrial complexes that are situated at Bridge of Don, Dyce, Bucksburn and Aberdeen Airport.